Get Crafting for the NGY Steampunk Contest! 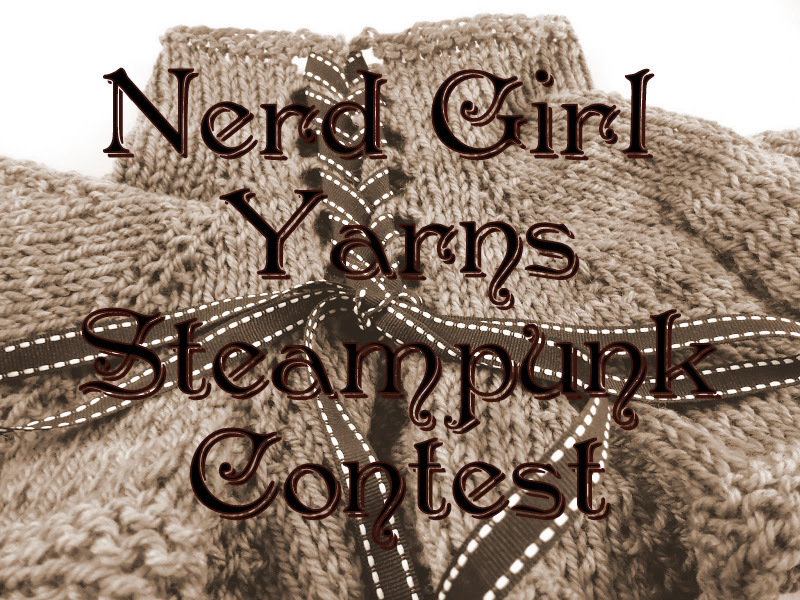 In honor of the recent new colorways, Nerd Girl Yarns is hosting a steampunk inspired contest! Starting now thru March 31st knit, crochet, spin, or weave with any Nerd Girl Yarns yarn and/or fiber colorway to create a finished object with a steampunk feel – steampunk specific patterns are not required, let your imagination go wild! Now would be a great time to try your hand at art yarn with inclusions, knit elbow length mitts with lots of buttons, crochet that ruffled neck warmer you have had queued up, and shawls are always in fashion. To enter your item, head over to the Nerd Girl Yarns’ Ravelry Group contest thread and post your item with a description including the details of the yarn/fiber & colorway you used. All submissions posted by 11:59pm CDT March 31st will be considered for judging. Winners will be announced here on the blog and in the Ravelry group on April 7th and winners will be notified via Ravelry PM as well. Feeling extra crafty? There is no limit on the number of entries you can make, craft as much as you want! 2nd Place: One skein of yarn or braid of fiber in colorway of winner’s choice. Honorable Mention: One Free Pattern! All contest entries must be crafted using yarn or fiber from Nerd Girl Yarns. All contest entries must be knitted, crocheted, woven or spun. Entries must be posted in the Nerd Girl Yarns Ravelry Steampunk Contest thread by 11:59pm CDT on March 31st, 2013. Post must include one or more photos of the finished item to be considered as well as what yarn + colorway or fiber blend + colorway was used.